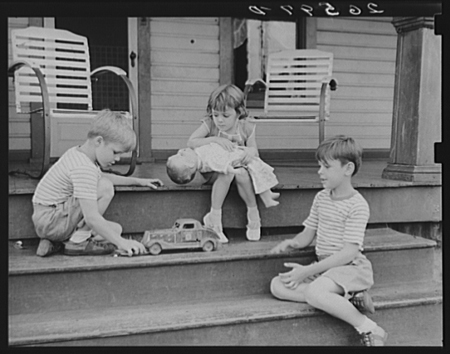 Primary source images, including maps, are great resources for integrating language arts with social studies into activities that meet Common Core State Standards. The Grade 1 writing prompts and activity ideas below build on the kindergarten writing prompts and activities. Give this picture a title and describe why you chose that title. Do you like this picture? Why or why not? What story does this picture tell? Would you give the story a thumbs up or a thumbs down? Why? What question do you have about this picture? How might you find an answer to your question? What is this topic or story that this picture tells? List the different shapes you see. Circle all of the people with _______. List all of the objects that start with the letter “___”. Circle all of the people/objects with/that are _______. What do you think the people in this picture could be saying? What do you think the objects in this picture could be thinking? If you could talk to someone/something in this picture, what would you say? What might have happened before this picture was taken? Why do you think so? What might happen next in this picture? Why do you think so? In this picture, what if ___________? 5. With guidance and support from adults, focus on a topic, respond to questions and suggestions from peers, and add details to strengthen writing as needed. Provide students with feedback (teacher or peer) on one of the prompts. 6. With guidance and support from adults, use a variety of digital tools to produce and publish writing, including in collaboration with peers. Publish images and student responses on a blog or using slide presentation software. 7. Participate in shared research and writing projects (e.g., explore a number of “how-to” books on a given topic and use them to write a sequence of instructions). In pairs or in a group, have students use an historical map and write out step-by-step directions to get from one point on a map to another. Ask students to describe how a picture relates to their own lives. Please feel free to download and distribute the CCSS Grade 1 Writing Prompts & Activities (but please keep the format, including logos, intact). Check back for more CCSS Grade 2-5 writing prompts & activities! It is great to find resources like this that can be used as they are or as inspiration for customized activities. Thank you for sharing!! Thanks for the comment, Cindy. Teachers: you’ll find so many wonderful resources as well at TPS-EIU. Check them out!